Workers for the Metropolitan Sewer District begin to demolish a condemned house on Greer Avenue as part of a program to turn vacant properties into green spaces. The Metropolitan St. Louis Sewer District has started demolishing abandoned buildings to kick off a $13.5 million project to build green spaces in the city. The Urban Greening Program is a part of MSD’s $100 million initiative to divert rainwater from entering the city’s sewers and contaminating local waterways. It’s also a key portion of a settlement agreement in 2012 with the Missouri Coalition for the Environment and the Environmental Protection Agency that requires the sewer district to spend $4.7 billion over the next two decades on improvements to sewer systems in St. Louis and St. Louis County, a larger effort called Project Clear. The first 11 properties to be removed are located in the Wells Goodfellow neighborhood in north St. Louis, an area that’s had issues with rainwater runoff. MSD plans to remove 200 condemned buildings by the end of this year, with a longer-term goal of demolishing nearly 1,000 in the coming years. The Land Reutilization Authority owns more than 11,000 parcels in St. Louis and spends nearly $1 million tearing down abandoned buildings every year. “We don’t want these buildings,” said Mayor Francis Slay, at an event today announcing the Urban Greening Program. MSD also plans to remove 50 acres of impervious surfaces, which include rooftops, sidewalks and roads that can’t absorb rainwater. When rain comes down on streets and sidewalks, it picks up debris and chemicals and carries them into rivers and streams. In times of heavy rains, that can cause sewer overflows, which further pollutes those waterways. Alderman Jeffrey Boyd, 22nd Ward, grew up on Greer Avenue, where demolition began today. Sewage overflows, flooding and abandoned buildings have long been issues in his home neighborhood. 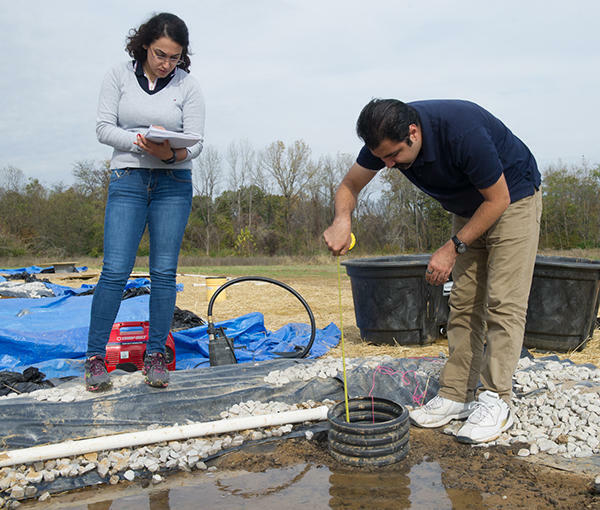 Curious Louis: How is St. Louis managing stormwater runoff? The first thing to notice about Clarice Hutchens’ front yard is that it isn’t a nicely manicured green lawn. Her house sits atop a steep hill and as you come up her driveway, you see piles of rocks, shrubs and trees that blend in well with the woods that surround her property. 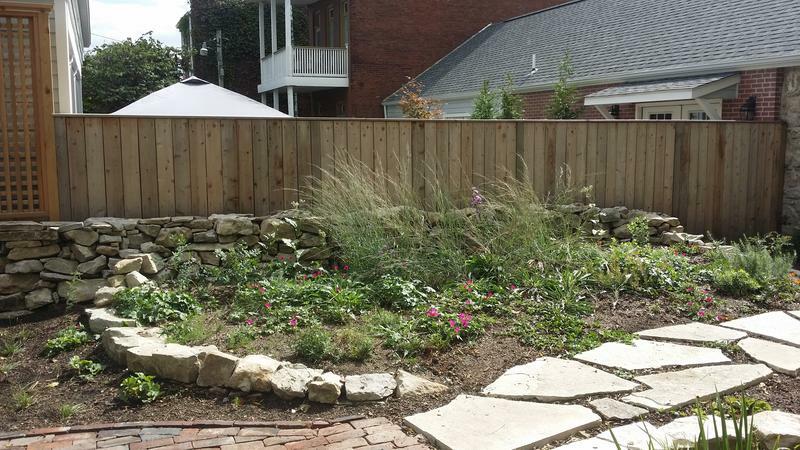 Hutchens planted this rain garden, a garden built to absorb rainwater, shortly after she and her husband moved into their Ballwin home in 2004.